As we reported in December, there was an exhibition of Kitewood's plans for one of the plots behind the Laban on 10th and 12th January. These plans can also be viewed on their website. 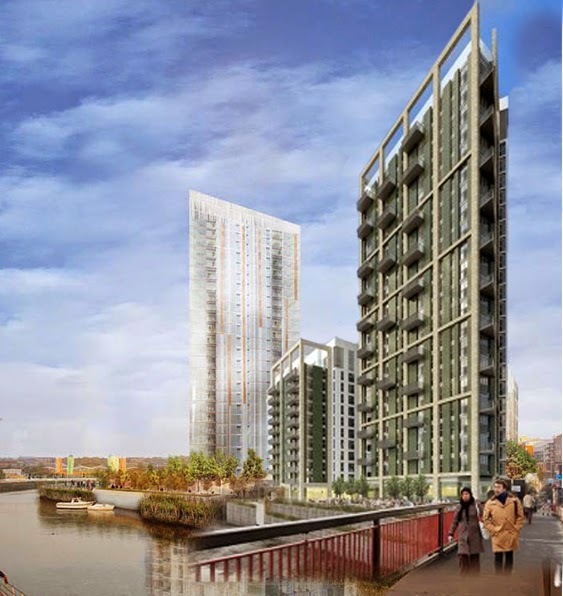 Whilst there is a live application in for Kent Wharf (see previous post and put your objections in now! 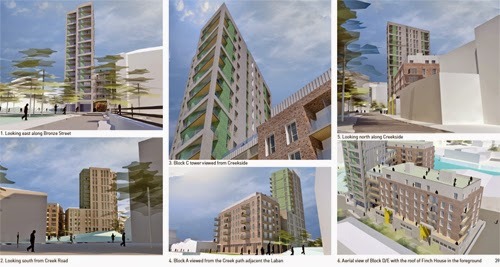 ), it may be a couple of months before Kitewood's application for Creekside East hits the Lewisham planners' desks. 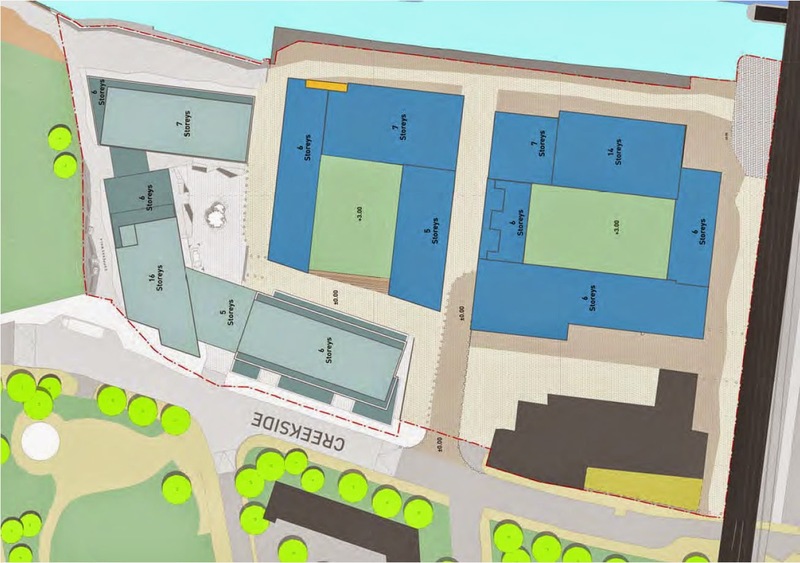 Back to the Kitewood plans: there are two buildings: a 25-storey tower by the waterfront and a 10-storey block behind it. At 25%, the percentage of 'affordable' housing here is higher than what we've come to expect (ie 13% at Kent Wharf, 14% at Convoys Wharf). 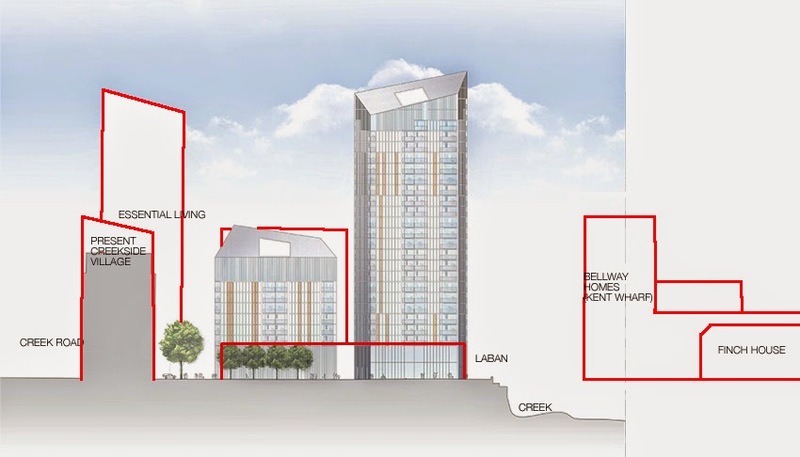 However, it will be housed in the smaller block that is hemmed in by three buildings: Essential Living's 10-storey 'Family Block' on the waterside, the existing Creekside Village buildings to the north, and the 24-storey tower to its south. They will have a south westerly view from the upper floors though. 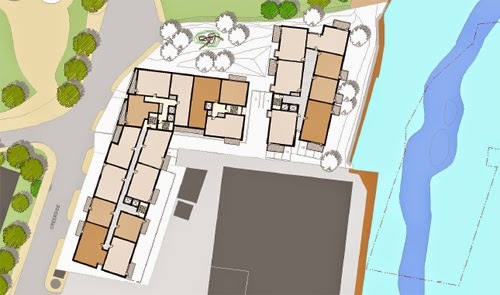 Creekside East has 224 flats: 111 x 1-bed, 84 x 2-bed, and 29 x 3-bed and a mix of sizes across the site. Lewisham's strategy for Creekside as a 'creative hub' means Kitewood have included "a number of affordable commercial spaces that would be perfect for start-up businesses or artists studios". We pointed out that the commercial spaces in Creekside Village West had never been let or sold and were told that Kitewood's spaces would be much smaller without the ridiculous ceiling heights. There will also be underground parking – the same as in the existing Creekside Village (West). How they can manage this when Bellway Homes cannot offer such a facility at Kent Wharf is anyone's guess. Considering the congestion on surrounding roads, some might suggest there should be no parking here either. 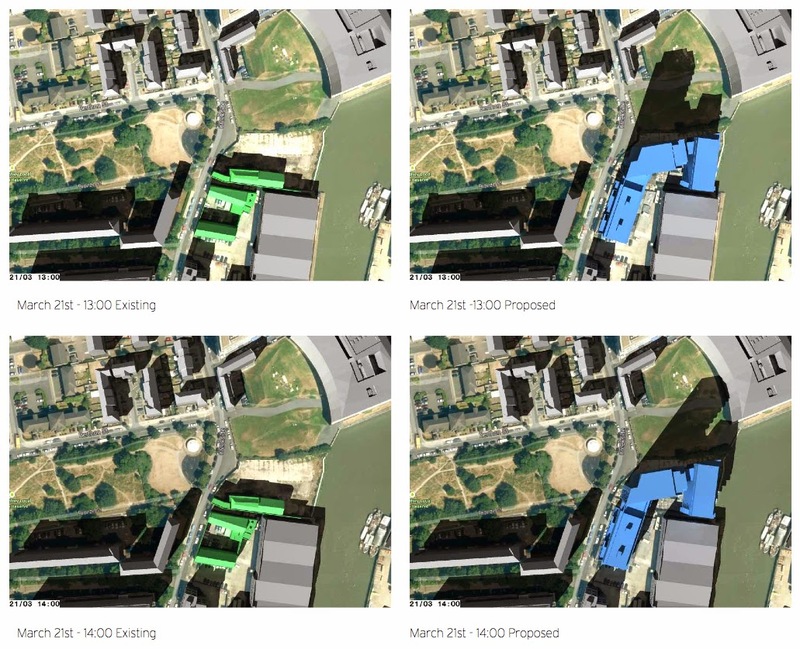 The interesting thing to note from the above plan is the waterfront space between Kitewood's plot and that of Essential Living's, right on the borough boundary with Greenwich (a thin black line demarcates the boundary). We were surprised to learn this patch of land belongs to Lewisham Council, and no one appears to know what they plan to do with it. Originally (see below) this was going to be a theatre. 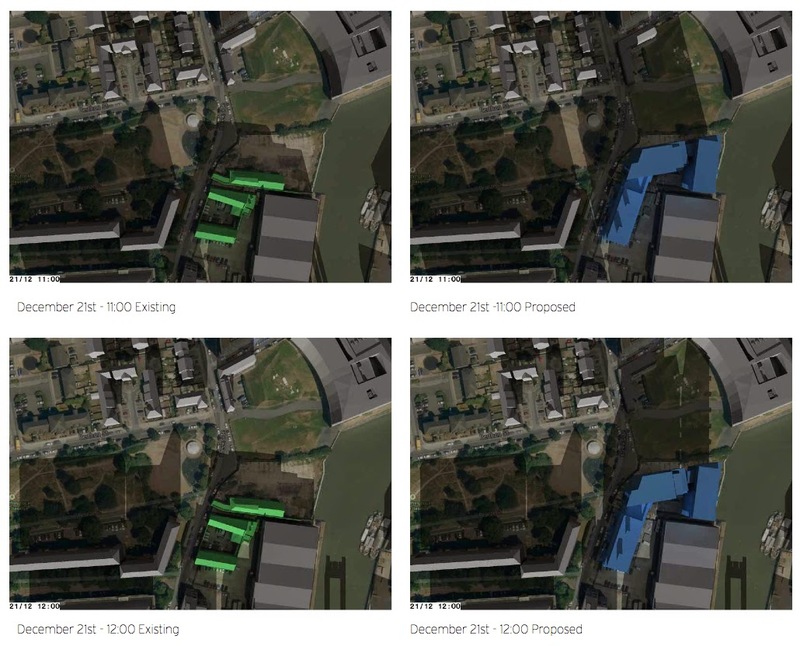 Update 22 Jan: The Dame has just discovered that Essential Living's Greenwich Creekside East application is now up for viewing on the Greenwich Planning website. She has already commented on their December exhibition and may have more to say once she has digested the plans. They are not revealing full details on their Construction Traffic plans. They will be using the same route as Kent Wharf – off Copperas Street and onto Creekside then up Blackheath Hill to the A2 (because HGVs are not allowed in Greenwich town centre). They say: "At this stage the level of traffic that is likely to be generated during the construction of the proposed development is not known." We know that Faircharm will generate 80-90 HGV trips along Creekside and Bellway Homes claim they will only add 25 to this traffic. 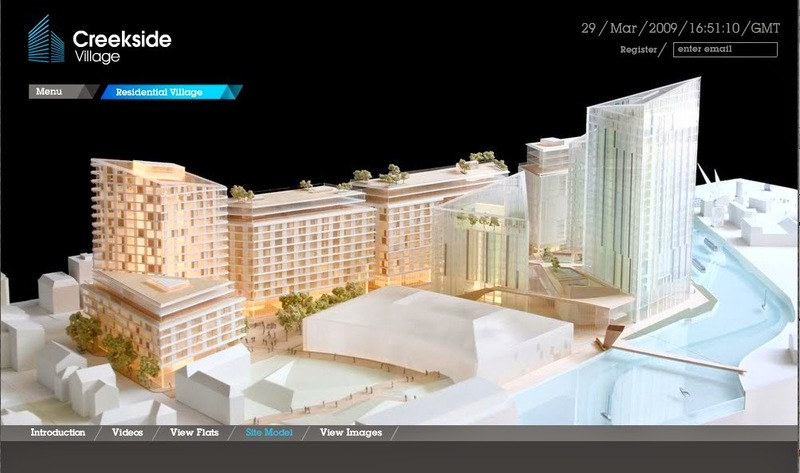 It is likely Greenwich Creekside East will generate at least the same as Faircharm. And Creekside East the same. Plus construction workers' vehicles. 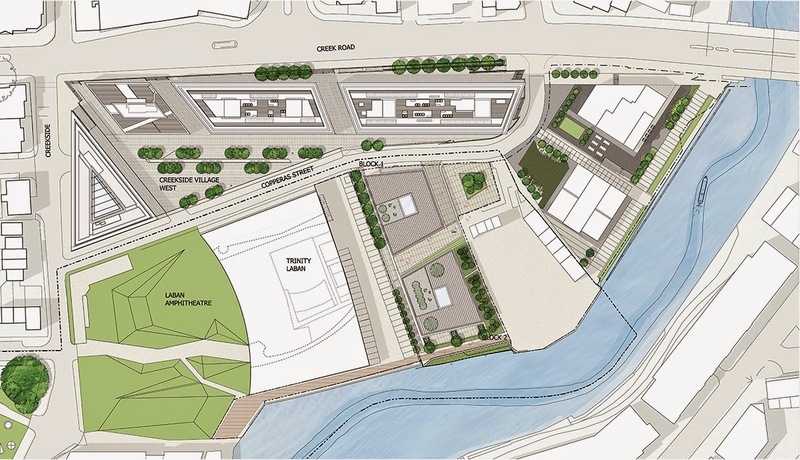 So, with FOUR developments being built at the same time, there is a potential 275 HGV trips per day along Creekside over two years. Add to that the Thames Tunnel work on Deptford Church Street (140 vehicles a day of which 64 will be HGVs) and the construction traffic from Convoys Wharf which will also be using this route. 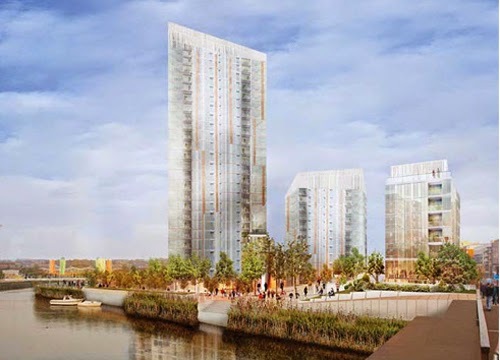 Apart from the lack of detail on Construction logistics, Essential Living's Transport Assessment is almost an exact replica of Kent Wharf's with regard to Parking and Public Transport. 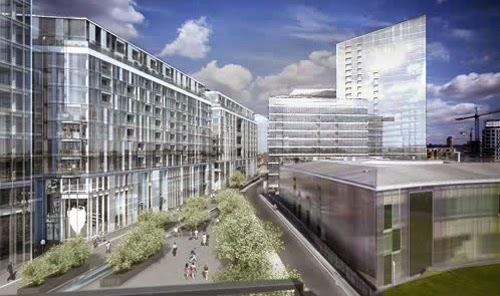 Both developments will be car-free – although Essential Living has an underground carpark with 13 disabled spaces (not all of which will be used) – and neither's residents will be eligible for "on-street parking permits in existing CPZs". Everyone will be cycling to work, naturally. Both use the same TfL figures and have conducted similar parking surveys to show how much on-street unrestricted parking will be available, despite their intention to market to "would-be suitors" that there is minimal parking. 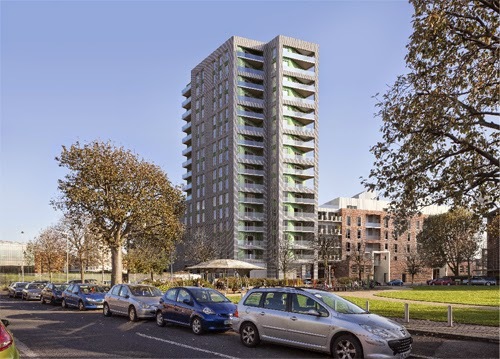 Essential Living say statistics show that 65% of Greenwich residents do not have a car and have applied that rate to their development so that "there could be up to 90 vehicles associated with the proposed development. 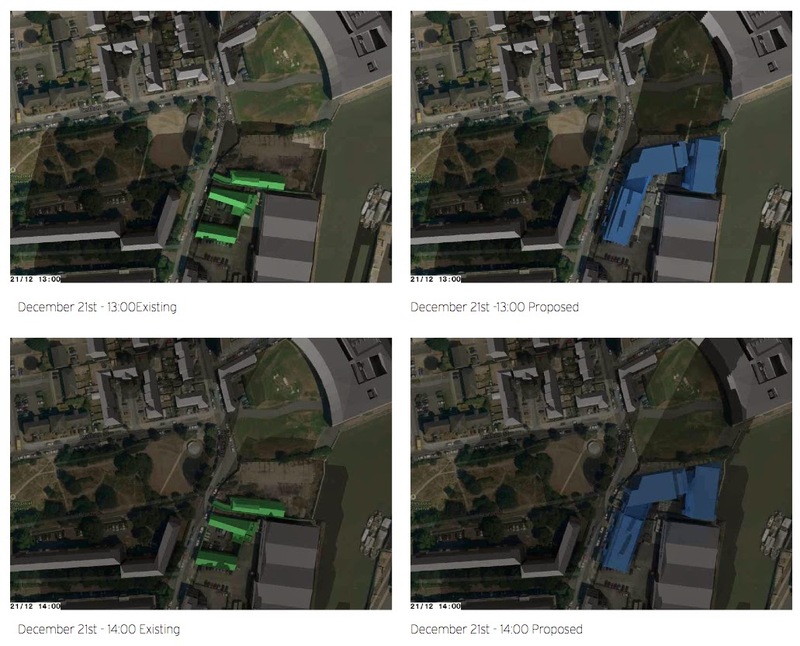 Based on parking provision of 13 spaces this could result in 77 vehicles parking off-site...It is evident from the on-street parking survey that only some of these vehicles could park on the surrounding highway network during the day [in fact, their survey shows daytime parking maxed out at 103%!] whilst the significant majority could park overnight". 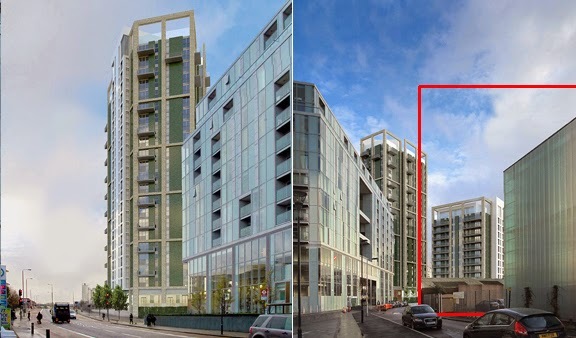 Just as both applicants provide drawings which omit the other proposed developments, they also present these figures in complete isolation: each claim there is ample overnight on-street parking for their own residents without admitting these spaces will be shared by FOUR new developments. As for Public Transport, how much more overcrowding can we stand? We're reminded of the Clapham Junction resident commuting into town, who gets the train to Tooting every morning (the opposite direction) so that from there he can actually get standing room on the Clapham Junction train back into town.